Over the past decade of research, Deep Carbon Observatory scientists have made transformational discoveries about carbon inside Earth—how much exists, where and how it moves, what forms it takes, and its origins. They have shared their findings in more than 1400 peer-reviewed publications, including more than 100 papers in Nature, Science, and Proceedings of the National Academy of Sciences. This decade of research has laid a strong foundation for the continuation of deep carbon science beyond 2019. Many programs are already underway that will carry on the ethos of multidisciplinary investigation of big questions about deep carbon and its planetary role. Listed below are some of the programs continuing that quest for knowledge. To add additional programs to this list, please contact Katie Pratt of the DCO Engagement Team. A second Gordon Research Conference on Deep Carbon Science is planned as a follow-on to its successful launch in 2018, where participants robustly discussed the evolution of deep carbon in Earth’s biological and non-biological reservoirs over 4.6 billion years. 2018 Deep Carbon Science Gordon Conference. 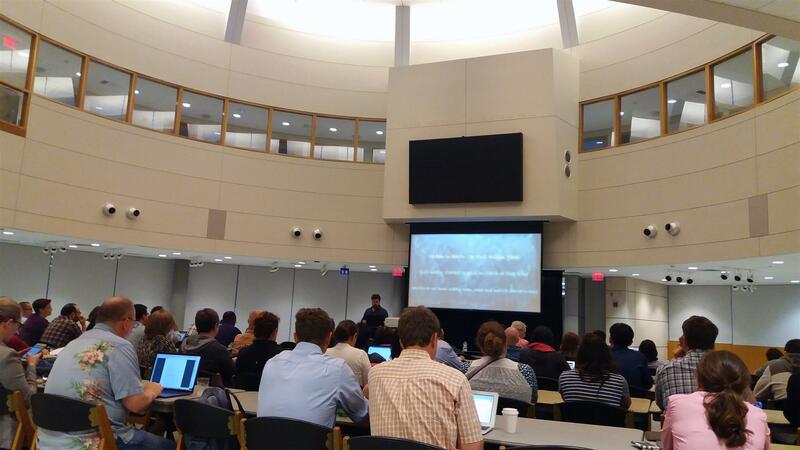 The 2020 conference will run from 28 June–3 July 2020 at Bates College in Lewiston, Maine. Conference chairs Deep Energy Chair Edward Young (University of California Los Angeles, USA) and Deep Life Chair Kai-Uwe Hinrichs (University of Bremen, Germany), along with Conference vice-chairs Reservoirs and Fluxes Community members Tamsin Mather (University of Oxford, UK) and Deep Life Community member Douglas LaRowe (University of Southern California, USA) are currently devising the agenda for what is sure to be another engaging week of scientific discussion. DCO early career scientists and Reservoirs and Fluxes Community member Jonathan Tucker (Carnegie Institution for Science, USA) and Deep Life Community member Rachel Harris (Princeton University, USA) will chair the inaugural Gordon Research Seminar in 2020. The seminar will be held in conjunction with Gordon Research Conference on Deep Carbon Science 2020 and will be held the weekend immediately prior to the GRC at Bates College in Lewiston, Maine. CarboPaT (Carbonates at high Pressures and Temperatures) is a German research consortium launched in 2015 with support from the German Research Foundation for six years. CarboPaT studies phase relations, crystal chemistry, physical properties and reactions of carbonates at conditions relevant to the transition zone and the lower mantle to answer questions such as how much carbon is stored in the deep Earth. This research requires a multidisciplinary approach and state-of-the-art equipment for making measurements at the extreme conditions of Earth's interior. Foundation funding makes it possible for scientists to design new experimental techniques essential for their work. Extreme Physics and Chemistry Community (EPC) member Björn Winkler (Goethe University, Germany) leads the consortium, where he is joined by many fellow EPC members, including Catherine McCammon (Bayerisches Geoinstitut, Germany). CLEVER Planets (Cycles of Life Essential Volatile Elements in Rocky Planets) is an interdisciplinary, multi-institutional group of scientists, led by Extreme Physics and Chemistry member Rajdeep Dasgupta (Rice University, USA) and funded by NASA, working to unravel the conditions of planetary habitability in the Solar System and other exoplanetary systems. Their research focuses on the origin and cycles of life-essential elements (carbon, oxygen, hydrogen, nitrogen, sulfur, and phosphorus) in young rocky planets. 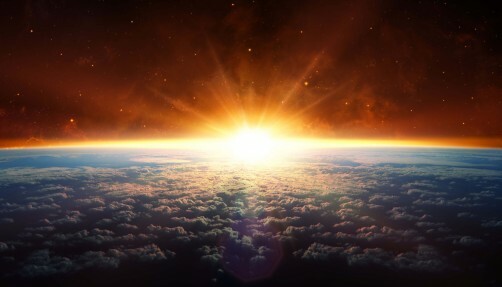 They hope to identify where habitable niches are most likely to occur, which planets are most likely to be habitable, and when in their evolutionary history such conditions of habitability are most likely. This group is part of NASA’s Nexus of Exoplanetary Systems Science research network. A NASA grant awarded in 2019 establishes a research community focused on pathways to life on Earth. The five-year project will tackle the question: How, and in what order, were the ingredients for life on Earth manufactured and assembled? The research team is seeking to uncover the conditions on early Earth that gave rise to life by identifying, replicating, and exploring how prebiotic molecules and chemical pathways could have formed under realistic early Earth conditions. Deep Life member Karyn Rogers (Rensselaer Polytechnic Institute, USA) leads this initiative. Other DCO collaborators include Data Science Team Leader Peter Fox and Reservoirs and Fluxes Community member Bruce Watson (both at Rensselaer Polytechnic Institute), DCO instrumentation awardee Andrew Steele (Carnegie Institution for Science, USA), Deep Energy Community member Tom McCollom (University of Colorado, USA), Deep Life Community members Susan Lang (University of South Carolina, USA) and Douglas LaRowe (University of Southern California, USA). 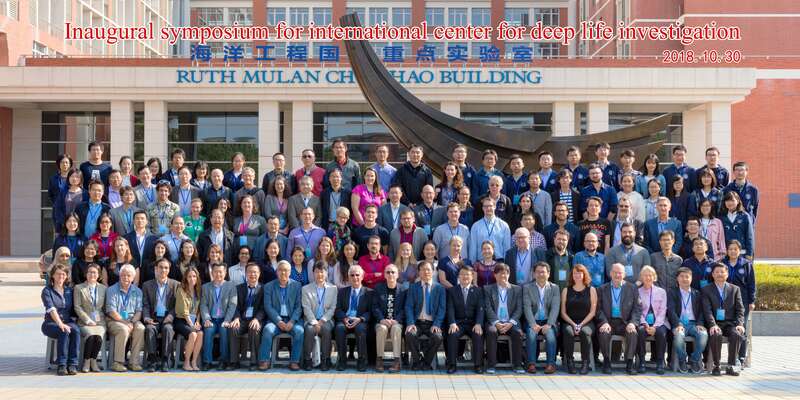 The work of the Deep Life Community will continue at the International Center for Deep Life Investigation established at Shanghai Jiao Tong University in 2019. Led by Deep Life Community members Xiang Xiao and Fengping Wang (both at Shanghai Jiao Tong University, China), the Center provides a platform for continued international collaborations that seek to address key scientific issues. Among the many scientific questions to be explored include the relationship and interaction of deep life with surface life and their role in mediating the carbon cycle; the composition, accessibility, and amount of organic matter, electron acceptors, and electron donors (energy compounds); the temporal and geographical distribution patterns of microbial community compositions and how they control specific taxon abundance; how energy flux, temperature, and pressure define the limits of life; the diversity and function of the deep virosphere; and evolutionary rates in the deep subsurface and their consequences. Led by current Deep Life co-chair Kai-Uwe Hinrichs, this seven-year project is initiating a new chapter in ocean-floor research by quantifying exchange at this significant boundary layer and how these affect and respond to environmental and climatic changes. Investigations will be interdisciplinary in nature and use novel technologies for ocean-floor observation and sampling, highly sensitive analytical methods, and an expanded application of numerical models. Science for Clean Energy (S4CE) is a European Union’s Horizon 2020 project aiming to develop, test and implement technologies needed for successfully detecting, quantifying, and mitigating the risks connected with geo-energy operations in the sub-surface. The consortium includes 22 partners representing academic institutions, industry energy operators, industrial partners, and research institutes investigating the geo-energy operations of geothermal energy, enhanced gas recovery, carbon sequestration, and unconventional operations. Deep Energy Community member Alberto Striolo and DCO Executive Committee member Adrian Jones are leading the project, based at their home academic institution, University College London. Header image from Earth First Origins Project, Rensselaer Polytechnic Institute, USA.